Asus Eeee Seashell Series netbook computer upgraded to Windows 10 Pro 1803. 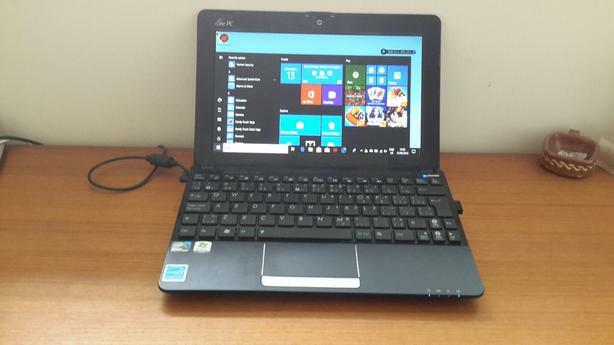 Intel Atom N550 1.5 GHz dual core processor, 250 GB hard disk, 2.00 GB RAM, 10.1 inch screen, 3 USB ports, Ethernet port, SD card port, VGA port for external monitor/projector, and audio sockets. Comes with AC charger. In excellent condition, this is a light and portable notebook computer.